Gloomy weather didn’t stop a group of intrepid teen readers and reporters on Tuesday, November 13. 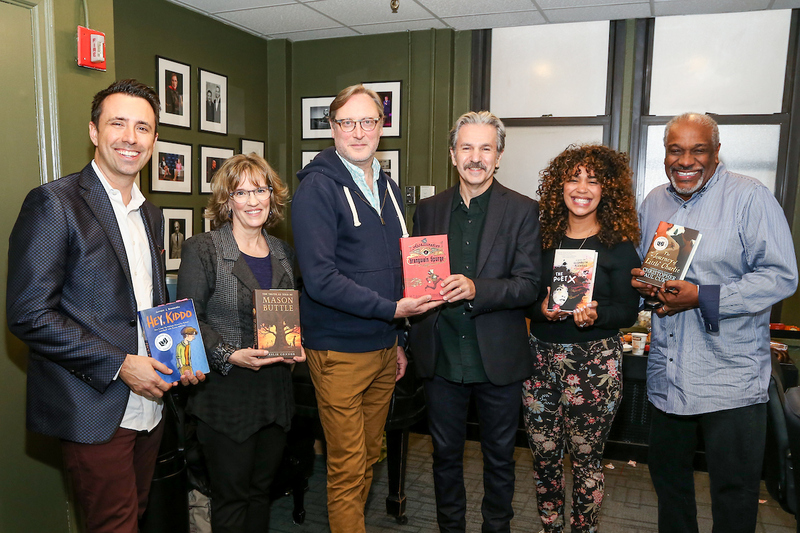 On the day before the National Book Awards were announced, over 600 New York City middle- and high schoolers gathered at the 92nd Street Y to hear the finalists for the Young People’s Literature category. Hosted by Jenny Han, the author of To All the Boys I’ve Loved Before, the event featured resonant readings and presentations by The Poet X’s Elizabeth Acevedo, The Assassination of Brangwain Spurge’s M.T. Anderson and Eugene Yelchin, The Truth as Told by Mason Buttle’s Leslie Connor,The Journey of Little Charlie’s Christopher Paul Curtis, and Hey, Kiddo’s Jarrett J. Krosoczka. Held annually since 1998, the Teen Press Conference invites groups to attend the free literary event and participate in the National Book Awards festivities. Schools are able to register on a first-come, first-served basis via the National Book Foundation website. Registration opens in mid-September each year. The press conference was also livestreamed to students across the country. The young adults’ buzzing energy permeated the crowd as they bravely asked the authors about craft, self-doubt, and inspiration. Each of the teen attendees also received a signed copy of one of the titles featured.